The head of Israel's National Economic Council, Eugene Kandel, recently told a gathering of energy and business people here in Israel that there is a price per barrel of oil at which Israel will no longer be able to exist and the world will no longer want Israel to exist. Kandel said various energy agencies forecast the price of oil will reach $200 per barrel during the next decade because of the rising demand from the Far East and there is increasing dependency in India and China on oil from the Persian Gulf. Kandel told the conference attendees that if Israel does not do something, those countries dependent on Middle Eat oil will be dependent on countries that are unfriendly to Israel, countries that will no longer want Israel to exist. 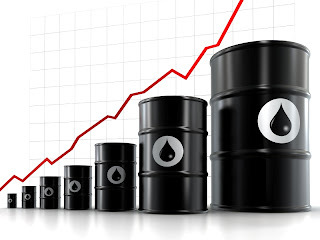 With the ever-increasing demand for oil in our world today, the price for crude oil will rise above $200 per barrel which will cause the world no longer to want Israel to exist, a scenario that can be found in Bible prophecy. Each of us, as we fill up our car gas tanks, are very aware of the ever rising price of oil, a direct result of the ever expanding demand for oil. There are many petroleum experts that say oil will rise in price to $200 per barrel and most likely in the next decade. These oil producing nations hate Israel and would like to have the Jewish state go away. The ancient Jewish prophets Daniel and Ezekiel both prewrote history, a prediction that we see unfolding today. Daniel refers to Syria and Egypt, Daniel 11:40-43, as a part of an alignment of nations who want Israel no longer to exist. Ezekiel wrote in chapter 38 additional names of nations that will look for a way to destroy Israel, that coalition includes: Turkey and Libya, plus Iran, the second largest producer of oil in our world. Even the Psalmist in Psalm 83 mentions Saudi Arabia, the world's largest producer of oil, as one of the alignment of nations that do not want Israel to exist and will do something about it one day, a day not too far into the future.